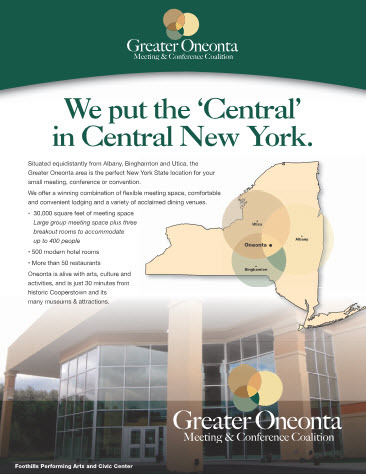 We put the “Central”in Central New York! 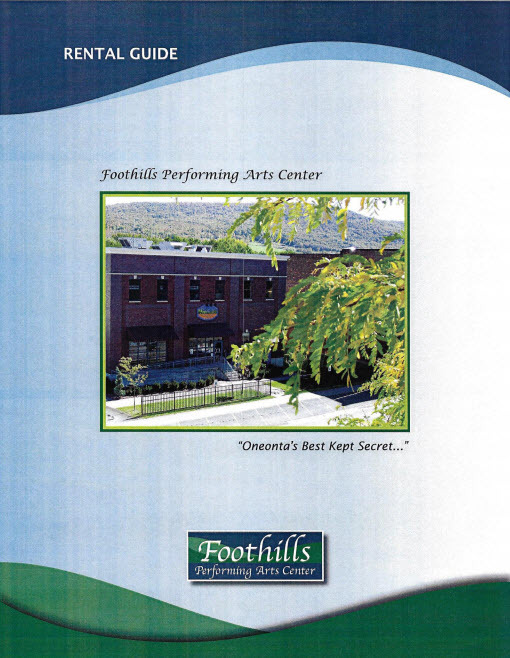 The Greater Oneonta area is the perfect New York State location for your small meeting, conference or convention. Greater Oneonta is located at equal distances from Albany, Binghamton and Utica, in the scenic foothills of the Catskill Mountains. Call us at 607 432-4500Ext 207 to arrange a site visit and discuss your next event. Or email Shelly at the Otsego County Chamber of Commerce for more information.